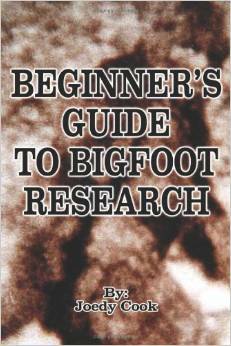 A Guide to Bigfoot: Why hasn't a Bigfoot body been found? Why hasn't a Bigfoot body been found? No body or bones of a Bigfoot have ever been found. This can be explained with many reasons. One is reason is that nature has a way with getting rid of animal remains. Many large animals die each year of natural causes, yet rarely are any remains found. When an animal dies, its remains are quickly consumed by maggots and other predators. This process can take less than ten days. Anything still remaining will be spread out across the forest, rotted, or buried in leaves. Some experts also feel that Bigfoot may bury their dead as humans do. Another thing worth mentioning is if someone is hiking in the woods and see's a bone, they don't usually take it with them for further analysis. On top of everything, these creature probably don't die very often, making any fossils very rare. All of these factors make it unlikely that any bones or body are to be discovered. "There are numerous rural areas in America that are largely untouched by any human presence where a rare and highly intelligent animal could potentially hide. Given the probable low population numbers of Bigfoot, it should come as no surprise that a body has not been documented. I've traveled forests all over Oregon, Washington and California and have never even seen a dead squirrel. Yet we know that squirrels are plentiful and are seen regularly, so why wouldn't dead squirrel bodies be more plentiful? Decomposition. So it goes to reason that given such a rare animal to begin with, finding a dead Bigfoot would be extremely rare!" Why is there no fossil record? Many have commented that there should be Bigfoot bones, because we have found dinosaur bones that are millions of years old. This thought can be explained away very easily by looking at another creature. The Gigantopithecus, one explanation for where Bigfoot came from, lived for an estimated 9 millions years, yet the only fossils recovered are a few jawbones and some teeth.